Credit and Receivables: do you manage them or do they manage you? Unless you’re a cash business, you will need to extend credit. 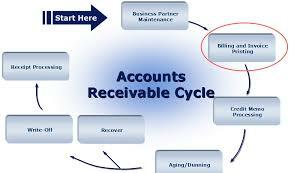 How you manage your receivables will determine how much cash flow you ultimately have. When was the last time you calculated your Days Sales Outstanding (DSO)? Have you ever heard of the Collection Effectiveness Indicator (CEI)? I hadn’t until I did research on this small article. So I’ve asked the members of Proformative to chime in. Here is what they have said. Your monthly reports should include a series of key performance indicators (KPIs) or metrics. If these two metrics aren’t part of your monthly (with add-on’s to many accounting systems and/or Excel, you can easily build them into a report) maybe your should add them? I like looking at some metrics on a daily and weekly basis. Top is Cash, A/R, A/P and Inventory levels. I also want to see what’s in the pipe, so that’s Sales Orders and Purchase Orders. DSO: Expresses the (aggregate) average time, in days, that receivables are outstanding. It helps determine if a change in receivables is due to a change in sales, or to another factor such as a change in selling terms. An analyst might compare the days’ sales outstanding with the company’s credit terms as an indication of how efficiently the company manages its receivables. The closer to company’s terms (i.e., Net 30) the better. Approx. 42 Days Sales Outstanding (indicates and average of 42 days to pay invoice). At Net 30 terms, avg. payment is 12 days late. CEI (Collection Effectiveness Indicator) – a better indicator of collections effectiveness as it measures performance over time. The closer to 100% the better. Here is an example of how to calculate the CEI for a 3 month collection period based on the sample data given. If CEO’s ran their companies like the Candidates run their campaigns….